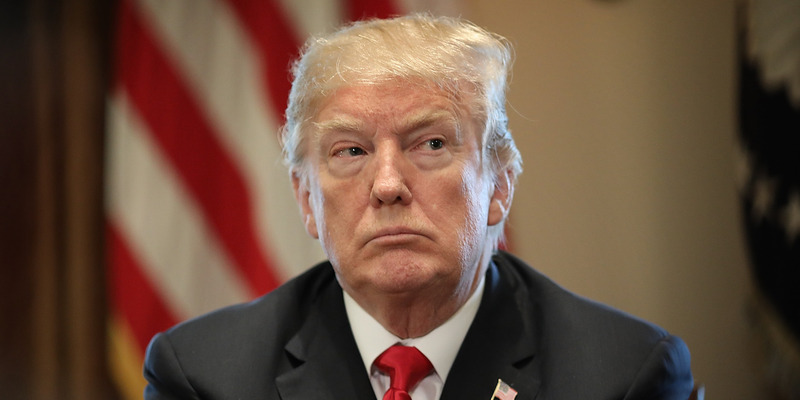 The Trump Organisation’s name was included in several regulatory filings made by the Emirati associate’s company after the 2016 election, raising questions about why Trump rejected the $US2 billion proposal in January 2017. The weekend before one of his advisers met with representatives of the United Arab Emirates and Russia in the Seychelles islands to supposedly discuss how to improve US-Russia relations, President Donald Trump rejected a $US2 billion real-estate proposal from a close Emirati business associate based in Dubai. 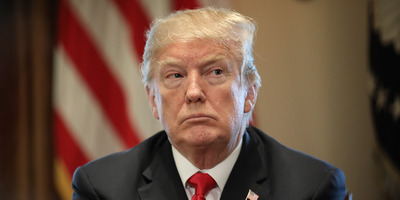 Trump told reporters on January 11, 2017 that he had turned down the offer a few days earlier from the the luxury real-estate company DAMAC Properties, the Trump Organisation’s main business partner in the Middle East, which is owned by Emirati billionaire Hussain Sajwani. RDIF was penalised when former President Barack Obama imposed sweeping economic sanctions on Russia in 2014 following its aggression toward Ukraine and annexation of Crimea. Moscow favoured Trump over Democratic nominee Hillary Clinton during the 2016 election because it believed, in part, that if elected, Trump would be open to easing sanctions on Russia. Counterintelligence veterans believe that to be a key factor behind Russia’s interference in the race and overtures to the Trump campaign. Senior adviser Jared Kushner’s family used his connections to the White House to lure wealthy Chinese investors to finance a Kushner property to secure investor visas. The Trump Organisation ordered new tee markers emblazoned with the presidential seal for golf courses. The watchdog group Citizens for Responsibility and Ethics in Washington found that Trump and White House staff promoted the Trump brand on at least 35 different occasions since he took office. It is unclear, then, what prevented Trump from pursuing the $US2 billion deal with Sajwani. 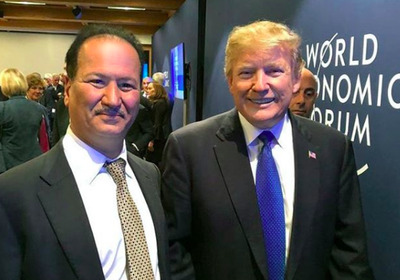 Sajwani’s relationship with Trump stretches back at least five years, when DAMAC launched the Trump International Golf Club as part of its $US6 billion Akoya property in Dubai. Since then, the two men have developed a friendly relationship – Trump called him “an amazing man” – and their businesses collaborated on several real-estate ventures. The Trump Organisation said last year that it would not make any foreign business deals while he is president. The statement did not appear to apply to two Trump Organisation-DAMAC projects that were already underway at the time. Trump’s eldest son, Donald Trump Jr., additionally travelled to Dubai last May to meet with Sajwani, and The Independent reported that the Trump Organisation’s name appeared on several regulatory filings DAMAC made after the election. DAMAC’s holding company also filed a quarterly earnings report, around the time of Trump Jr.’s visit, listing a new subsidiary called Trump International Golf Club LLC, which the company said it held a 100% legal and economic interest in. DAMAC’s and the Trump Organisation’s representatives did not immediately respond to a request for comment. Meanwhile, DAMAC’s interests in Russia have escalated in recent years. The company was in talks in 2010 with Rostec, another sanctioned Russian state-owned firm whose CEO is close to Putin, about the possibility of launching a $US300 million real-estate investment fund. But DAMAC vice chairman Niall McLoughlin said the venture was not pursued. He added, however, that DAMAC was “continuously evaluating opportunities” in Russia. Two months later, the Emirati crown prince travelled to Trump Tower in New York to meet with Kushner, incoming national security adviser Michael Flynn, and incoming White House chief strategist Steve Bannon without notifying the US government. “A delightful end to a busy three days @WorldEconomicForum, I spent my final hour at a reception honouring my dear friend, President Trump @realdonaldtrump, the first U.S. President to visit Davos in almost 20 years,” the caption read.